Arf, arf! 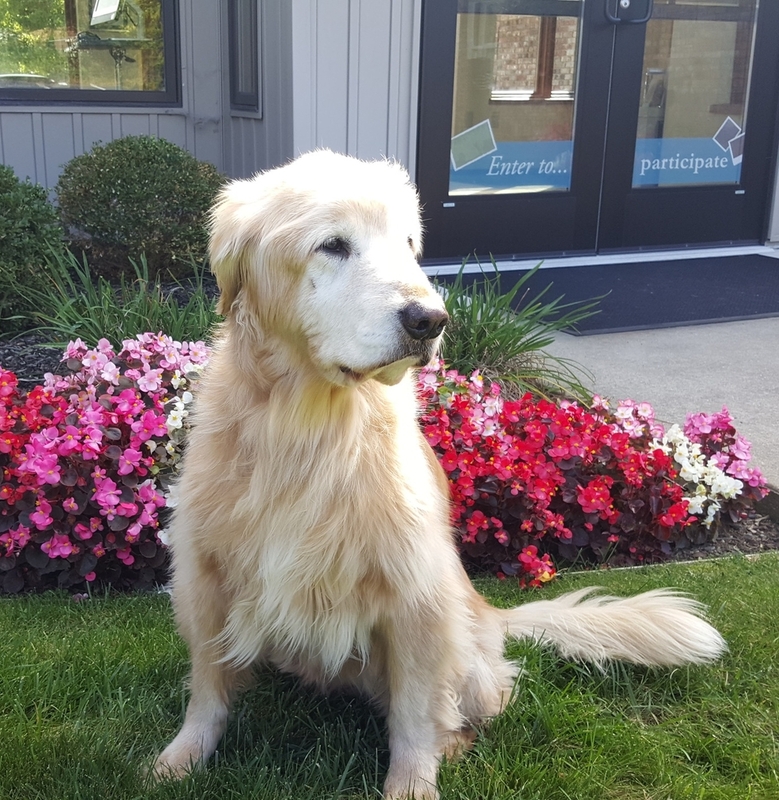 My name is Hollie, and I'm the Therapy Dog at Betzler Life Story Funeral Homes®. Most days you can find me at our Stadium Drive location in Kalamazoo (I love the comfy couches in the beautiful new addition! ), but I work at our Paw Paw location, too (no jokes, please). In case you can't tell by my long blonde locks, I'm a Driftwood Golden Retriever, and both my Mom and Dad were champion goldens. My sire was a field champion from Driftwood's Unsolved Mystery, where I get my great jumping genes from, and my dame was a Show Champion from AJ's Misty Fawn, where some say I get my good looks and personality from. I was born with my litter on September 29, 2001, at Linker Learning Centre for Dogs, in Battle Creek, Michigan. That September was a tough time for many people, but I brought a smile to the face of my owner then, Sherry Thomas Linker. 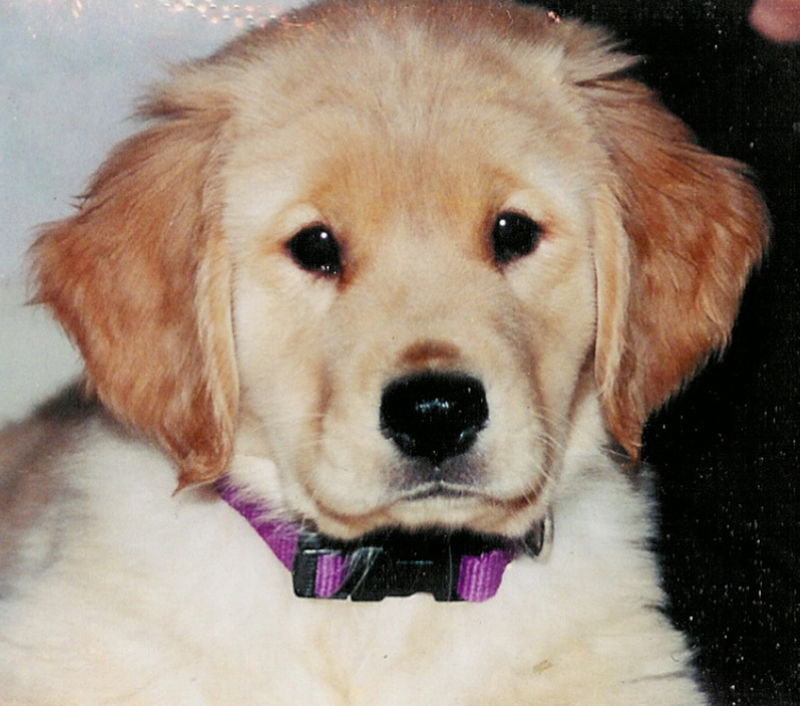 When I was just 12 weeks old, I found a home of my own, when Scott and Julie Betzler adopted me, on January 2, 2002. It was a cold, frosty Wednesday that day, but I warmed the hearts of my new owners. I couldn't ask for better "parents" than Scott and Julie. They both lost their own dogs, who were sadly hit by cars on the same night in 2000. Scott had a black lab named Bailey, and Julie had a black cocker-mix named Bellie. I'm sorry I never got to meet my siblings, but we're quite a happy family today. When I was a pup, Scott used to bring me to work at the funeral home, and I was a real hit with all the great people working there. They even helped teach me tricks and potty-train me! So I guess you could say I grew up there, just like Scott did (Mom told me he was potty-trained at the funeral home, too!). Scott was on the board at the Kalamazoo Humane Society back then, and the KHS trains Therapy Dogs for nursing homes and hospitals. Scott thought, "Why not have Hollie go through the program, too?" So I did, and graduated with flying colors. Mom and Dad say I'm a natural. Since then, I've been working full-time as a Therapy Dog at the funeral homes. I love my job because it combines two of my favorite things: helping people, and treats! 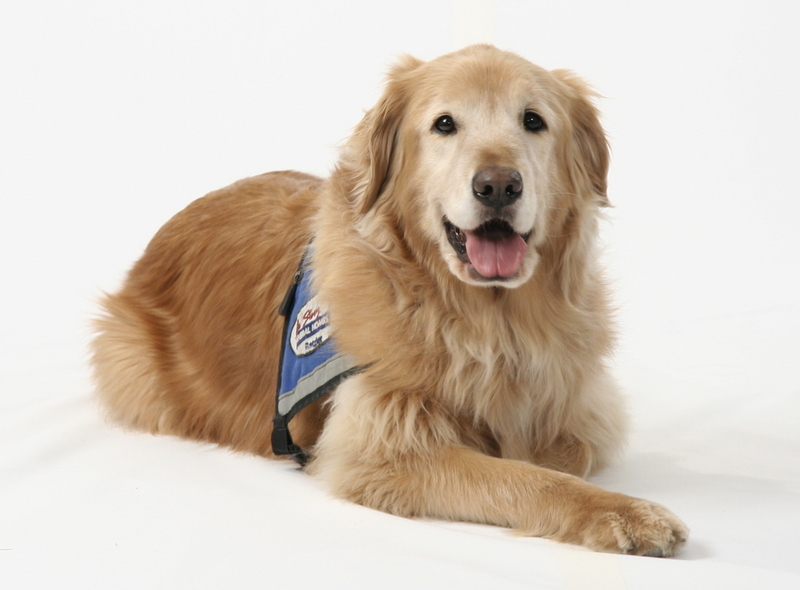 Since I started working there, I've helped thousands of people with their grief, whether it's letting them pet me, hold my paw, or just have me at their feet. Not to pet myself on the back, but I also get requested by families quite often, even on days Scott has off! Sometimes I work 60 hours a week, but I really love it. I'm always the first one in the car on the way to work! By the end of the day, I'm usually one tired pooch. It's always worth the hard work, though. Especially since every day is "pay day," when I get my treats. Somehow I've managed to keep my girlish figure, a healthy 65 pounds! And even though I shed my blonde hair on dark suits, most people say I'm well worth it. In fact, I get more comments and gifts from families we've helped than the rest of the staff combined! But I don't feel like the MVP, I'm just doing my job. I'm lucky, really. They say every dog has their day, but for me at least, that's every day. I work with great people, get to help people through difficult times, and get rewarded, too. Who could ask for more? Our sweet Hollie passed away on February 6, 2018 at 16 years old. She was an inspiration and comfort to many. click the link view her final message to her fans.